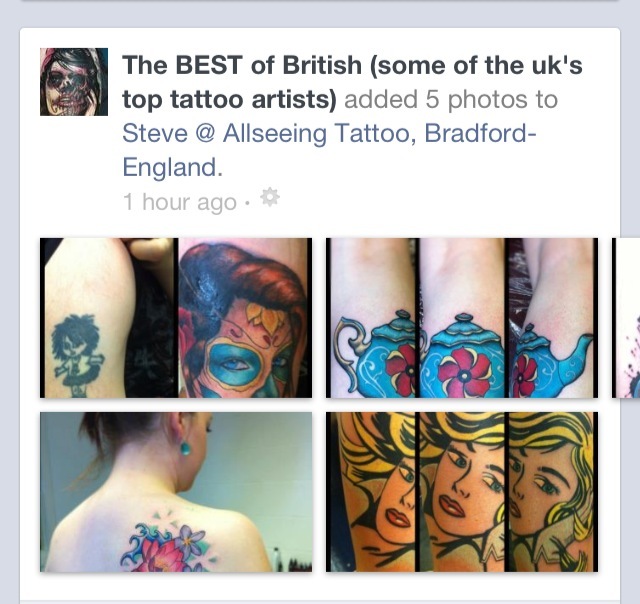 The Facebook tattoo artist appreciation page called the ‘Best of British – Some of the UK’s best tattoo artists’ have selected Steve at All Seeing Eye Tattoo Lounge to be featured on there Facebook page! Get tattooed at The Ink – Iron and Hot Rod show! We will be doing the Ink – Iron and Hot Rod show on Sunday 9th June 2013 held at the Frontier club in Batley (WF17 6JD). As far as the Tattoo Show side of it goes it’s on the small side for a convention, although there is a lot to see and do on the day. 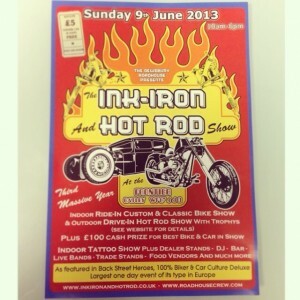 It’s the biggest show of its kind for the Custom and Classic bikes and Hot Rods so should be a good day. I’m looking for someone to tattoo on the day. 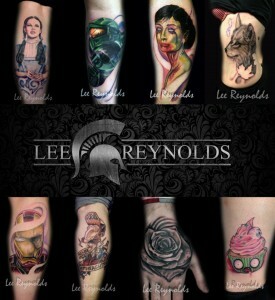 I will be wanting to do something super cool preferably on a leg or forearm that will impress the judges! 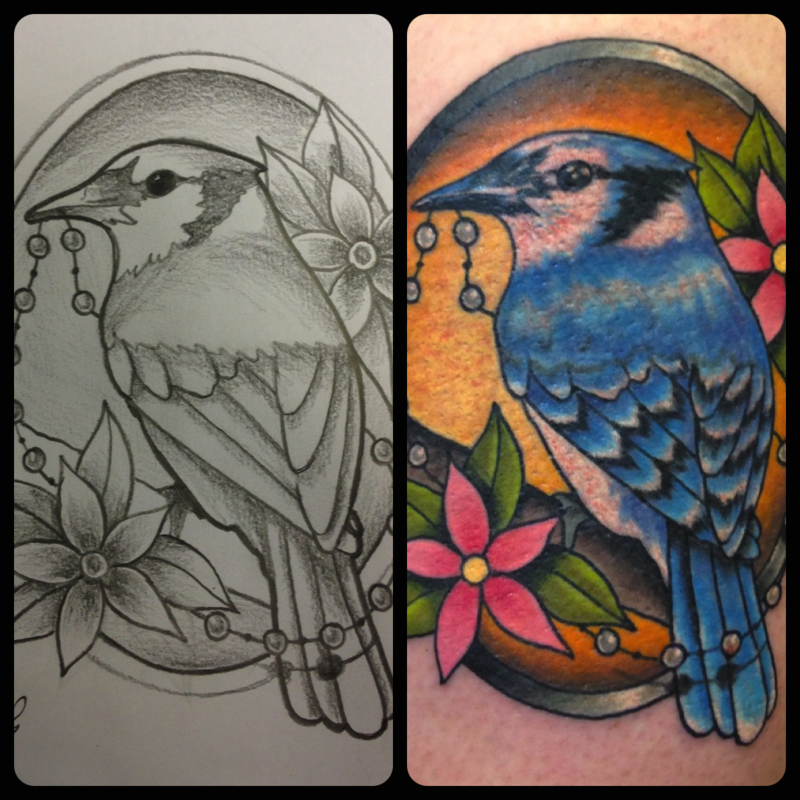 Although it’s not a free tattoo I am happy to do a great price for the right piece. We have exciting news! We have our first artist coming to do a guest spot at the All Seeing Eye Tattoo Lounge here in Bradford, West Yorkshire from the 15th to 18th May. The guys good and although this has only just been announced on our Facebook page it looks like two of the days have already gone. So get yourself booked in while the limited amount of space he has is still available! 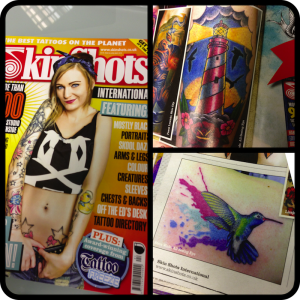 Big thank-you to Skin Shots and Skin Deep magazines for featuring tattoos done by myself (Steve) at All Seeing Eye Tattoo Lounge in their publications. 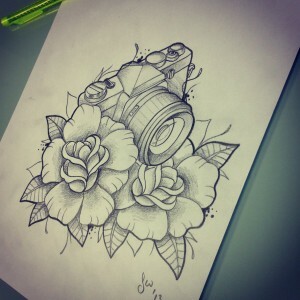 Camera tattoo design available for a tattoo! I’ve just recently sketched up this camera design that would look awesome as a tattoo for anyone who loves photography and retro cameras. 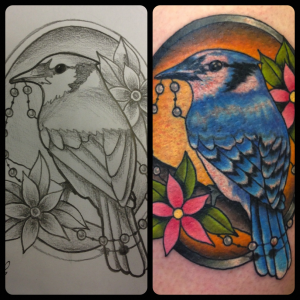 Just to give you an idea how finished tattoos look from sketches, i’ve just finished this bird tattoo, so you can compare the sketch I did to the finished tattoo!